Asylum-seeking families and children who turn up in Mexico and at the U.S. southern border from Honduras, Guatemala, and El Salvadorare escaping terrible violence and poverty. 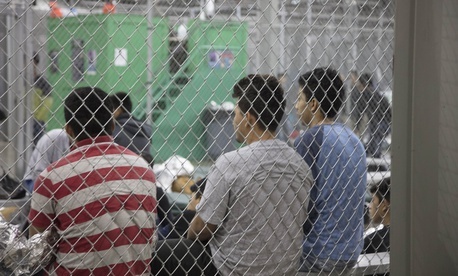 A newly published UNICEF report titled Uprooted: Central America and Mexico found that the Trump administration’s tougher immigration policies, along with Mexico’s own efforts to deport immigrants, are making their situation even worse. The report, based on data from the United Nations and interviews with deported migrants, found that the conditions they face when they return to their home countries are worse than when they fled. That’s because migrant families typically spent all they had to make the journey north, and on top of that, took on debts they still owe. This makes them more vulnerable: They are poorer, and often face social isolation for having decided to leave. For children, reintegrating in schools is especially hard. That puts them at a higher risk of joining violent gangs or, of having to leave home in order to escape them, says María Cristina Perceval, UNICEF director for the Caribbean and Latin America. The report offers details about the conditions the families and children escape—and that they re-encounter when they go back. In Honduras, the state that fares worst, nearly three children in four live in poor households; fewer than half of teenagers between 12 and 14 are enrolled in school, and that number drops to fewer than one in three for teenagers between 15 and 17. Data from InSight Crime Foundation, an organization working on violent crime in Latin America and the Caribbean, shows that the homicide rate in the three countries where most migrant children come from is horribly high. In Honduras, a country of nine million citizens, a child was murdered every day between 2008 and 2016, and the same is true for children in El Salvador, which has a population of 6.3 million, in 2017. Guatemala, which has 16.6 million people, had nearly a thousand violent children deaths in 2017. That is more than all of the violent deaths of children in North America in 2015 (latest UNICEF for Canada and US) for a population that is over 10 times bigger. Gang violence is especially risky for children because they aren’t just targeted by the gangs, but recruited by them, explains Christopher Tidey, who authored the UNICEF report. From 2016 to April 2018, nearly 68,500 children have been detained in Mexico; the vast majority of them—91%— were deported to northern Central America (Honduras, Guatemala and El Salvador). More than 96,000 migrants from northern Central America were returned to their countries, overwhelmingly by Mexico.